With the temperatures cooling off, I am always looks for a little cover-up for my girls. Sweatshirts & sweaters seem to be too heavy, and they don’t want to wear a long sleeve shirt yet! 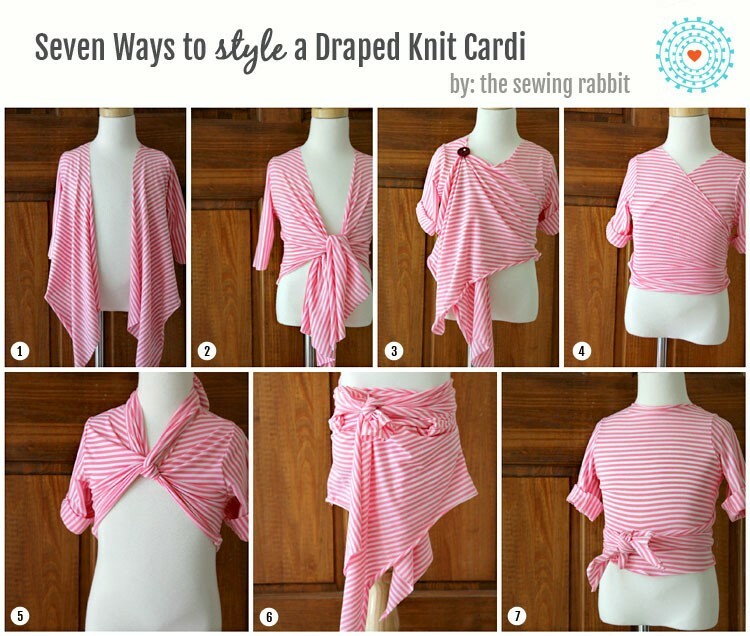 So after going through my knit stash, I came across a perfectly pink striped knit that I knew would be perfect to make the classic Draped Knit Cardi. Materials: One Yard Knit Fabric, Old T-Shirt for pattern purposes, Basic Sewing Essentials. Cut around shirt on fold to get your back pattern piece, and sleeves. For your front shirt pattern pieces, cut around shirt sides, shoulders, and neckline, but extend way out for front center – at least a good 12″ or beyond. With fabric right sides together, sew front and back shirt pieces together at the shoulder. Sew on the sleeves by matching up the curve right sides together. Fold the shirt in half, right sides together, and sew the underarm all the way down the side seam, to the hem. Repeat for other side. 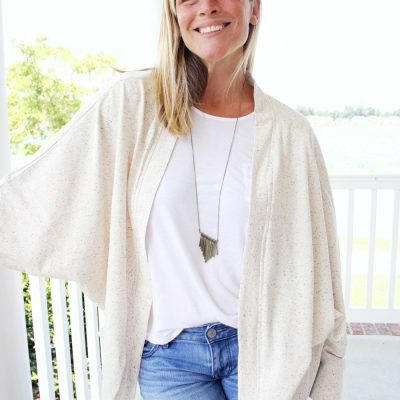 You can hem the bottom and sleeves if you want, or give the cardi a more finished neckline, although it is unnecessary for a casual knit kids cover-up. The knit will not fray, only roll a bit. Now, why do I love these draped knit cardis? I have at least 2 to 3 of them myself, because you can style them in so many different ways! Just wear ’em plain ole regular style. Of course us women know that these are a God-send for our ‘I just wanna cover it all up’ days. 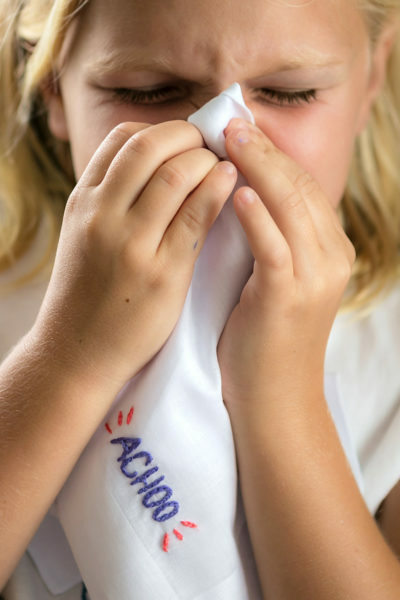 And for kids – they work as a great cover-up in cooler weather! Tie the front together and wear with a tee underneath. If you are a woman, throw on a statement necklace and you are good to go from day to night! 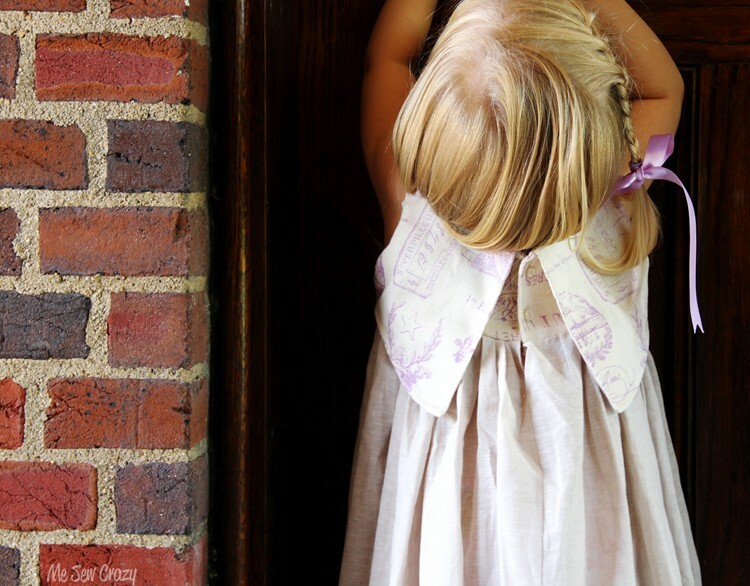 Drape one side up and secure with a fun pin or brooch! I do this a lot in the Fall…something about those scarves. For Chloe’s kids look, I created a fun pin made using a large button. Pull the front of your draped shirt tight across both sides of your body and tie in back. Cross-over tee! Cross both sides of the drape in front and pull the edges up and around your neck, tie in back of your neck like a halter. 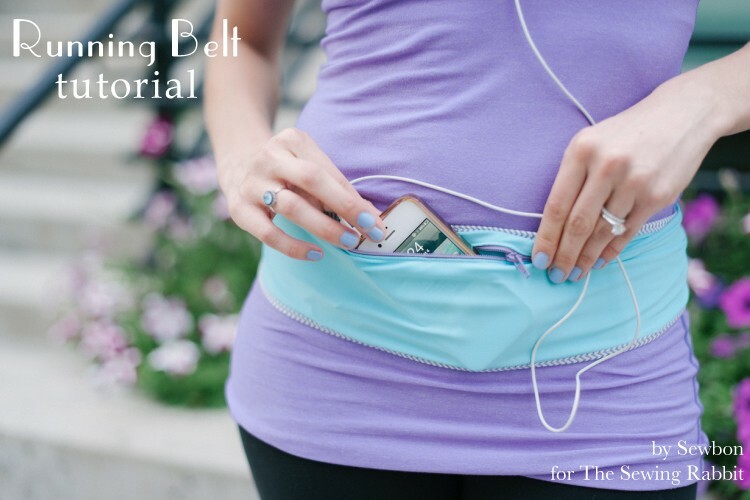 This works when worn over a nice flowing sundress – or even a strapless dress, it instantly covers up your shoulders. Instant skirt. I would only recommend this as a beach cover up, because one burst of wind and there might be a ‘wardrobe malfunction’. Wrap the shirt around your waist, tie the sleeves together in front and knot. Take the upper corner of each drape and wrap in front, crossing over to the opposite side. Slip top of drape into waist, and go! Turn your shirt around, so that the back is in front, and do another wrap shirt just like number 4. This time the cross-over is in back, and the tied drape nicely covers up your belly. Instant belt effect. 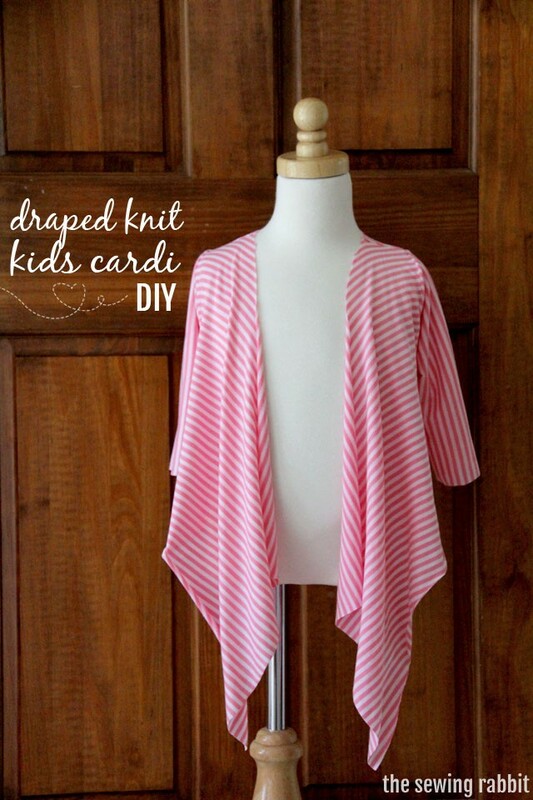 And there you have it – how to sew a draped knit kids cardi…and why you would want to! This looks so simple. I want one for myself. I assume the same directions would work for an adult, but maybe need longer front extensions. Have you made yourself one? I’m wondering how much extra “overhang” to cut? double the folded shirt width or more? Thanks in advance … I’m hoping to make myself a couple to wear as easy layering fall pieces and to help cover my soon-to-be-born nursing babe. Up to you but the tutorial says extend front 12″ for each front piece. Great ideas Jessica! And the burst of wind…. spot on tip. Wish there was a button to copy the directions easier. Other than that a great tut. I LOVE this! The only thing I have sewn is a pillowcase dress but this looks like it might be easy enough for a beginner like myself. Many thanks! Oh goodness, I’ve been waiting to make one of these for myself with this fabulously soft knit, and now I want to make a bunch in every color for my store! Wonderful styling tips, thank you for your endless inspiration! !